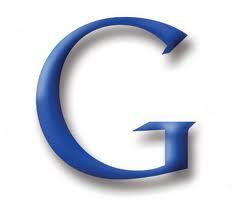 Google appears to have update Pagerank on Monday November 7th, 2011 (11-7-2011). 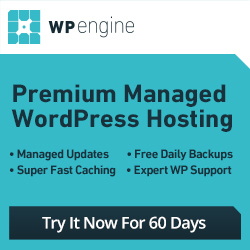 A number of webmaster forums have been buzzing about it all day. One thing about active webmaster types of forums they seem to be the first to pick up and post about it. 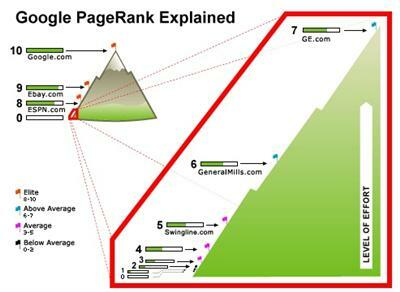 If you follow Pagerank you might have a look at your websites and pages if interested. Most of what I have seen based on what others are talking about are the usual ups and downs. Some people seem to be happy, and others are a little disappointed or ticked off. You should also keep in mind that Google is fairly famous for following a major Pagerank update with a minor update within a few weeks. It is fairly common to see a follow-up where a few sites and pages tend to see some corrections or changes. Whether this will be the case again this time around or not who knows. Any way if it something of interest to you this would be a good time to run a few checks. Yeah , I also got PR 2 ! Awesome, nice work keep it up and maybe you will see even more in the next update. I don’t know what kind of control blogspot allows you to do. Usually if you switch domain names you 301 permanent redirect the old domain to the new domain. Not only will that redirect it, but also pass some of the Pagerank to your new domain. I don’t know if that is an option, or if blogspot just does it for you or how it works over there exactly. Otherwise it is possible you happened to switch right in the middle of the most recent Google Pagerank update. Thanks for your support. Now I understand the concept. Google’s algorythm is always fascinating me. Indeed, they are famous for having a major PR update followed by some minor PR updates. I did notice some PR changes since 7th Nov, it’s very good! Thanks for sharing! Yeah! Got PR2 now too. Pretty happy about that but when I track my rankings the improvements are not that massive. I guess will have to wait a bit for that. It’s always nice when your site gets an increase in pr. Keep in mind that a pr increase doesn’t affect search results as much as it used to. You will want to build more backlinks with anchor text for your keyword or keyphrase you would like to rank better for in search results. Lot of people get kind of obsessed with the toolbar page rank. I agree that the green look good to the eyes. But end of the day when we are online what matters is SE ranking/position for our money kws. 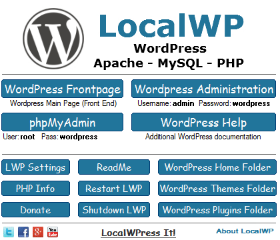 Moreover, most important is converting your visitors into business and more business. 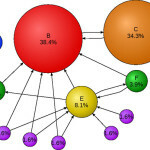 Pagerank has been an obsession for some ever since Google came up with it. You are right search results ranking is way more important. The main reason I am usually aware of a Pagerank update is a forum I follow seems to get a little crazy after an update happens. Some people are after their page rank, while some don’t even bother to check their page rank. I guess whatever the result is, it is still important for a site owner to focus on the site links, contents and visitors most. Maintaining the balance of everything will surely be rewarded by Google in the future. This last PR update seemed pretty generous. A lot of interior pages and new pages gained PR. It will be interesting to see if they ‘adjust’ it like you said. I originally didn’t spend a lot of time checking pr after this update. I checked a couple of my own, but that was about it. The past couple of days I did a little more exploring and now I am leaning towards Google adjusting it in the near future. I have a post scheduled for Monday about why I think that will be the case. Hi DialMe, I noticed a jump in rank on my Blogger blog and I’m convinced that Google + has something to do with that. Now that I have a backlink coming from my profile which is a PR8 my rank is moving up over there. It’s always nice to see an increase, but better to stay the same than to drop. I know there are several Google related pages you can add your link to that are dofollow. I need to spend more time over at Google one of these days. I just realized today that I’ve been bumped back up to PR 2. So, I’m pretty happy. It’s pretty much a roller coaster to me and I honestly don’t pay as much attention to it as I used to. I appreciate that bloggers like you write about this. It helps to cast some insight on it and there’s always a wealth of info to be found in the comment section as well. I try to keep up with it. 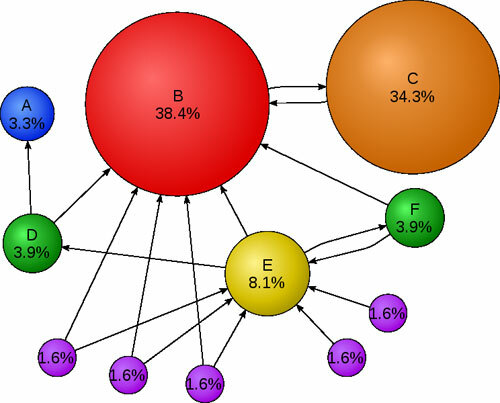 I am not one of the Pagerank addicts, but I do find it interesting. As a blogger, PR seems to be important. And personally, it’s really fulfilling to know that it goes up.. Hopefully, I can see changes the next time since my blog is just new. I’ve known some people who are having some problem with the PR changes performed by Google. Though some bloggers or site owners are after of their ranking, some still find the PR updates especially if they have some problems with Google. I noticed this at the time when I saw my 3 month old blog jump from PR0 to PR2. Looking forward to the next update now as I now have many deep links coming in. Fingers crossed that some internal pages get some PR. Maybe I’m a bit sad but I find the anticipation kind of exciting. I’m pretty happy. It’s pretty much a roller coaster to me and I honestly don’t pay as much attention to it as I used to. I appreciate that bloggers like you write about this. It helps to cast some insight on it and there’s always a wealth of info to be found in the comment section as well. I loved the recent update. My site just got into Page rank 3. It was awesome. All my hardwork and effort was not put to waste.